File Recovery Mac – DDR Professional helps you to recover deleted or lost files from Mac hard drives and various kinds of digital mass storage devices on Mac OS X installed machine. Program recovers lost pictures, images, digital photos, video clips, audio songs, Word files, excel sheets and other important data from different kinds of data storage devices. You can easily restore your entire files and folders missing or misplaced due to common data loss problems. 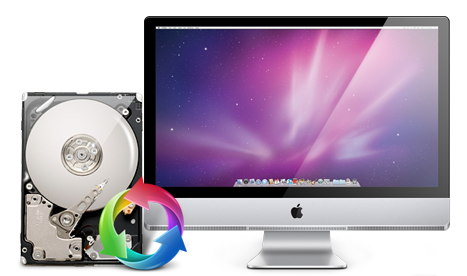 Mac File Recovery program provides advanced disk scanning mechanism to scan and recover lost or deleted files. File Recovery tool for Mac provides preview option to view lost data files before final recovery process. Restores data lost or missing due to virus attack, accidental deletion, software or hardware malfunctioning, etc. Program supports all major file formats including jpg, png, tiff, gif, bmp, avi, mp4, mpeg, m4v, asf, wav etc. Recovers deleted data even if "Drive not Detected" error message displayed on your mac machine. Easily save your recovered files at specified safe location on your Mac OS X installed machine. Recovers deleted text documents, pictures, video clips, song files and other data from different types of USB drives. Program search and recovers entire lost files using inbuilt advanced disk scanning mechanism. Restores lost digital pictures from Mac hard drives, memory card, flash drive and other digital mass storage devices. Software recovers photos deleted due to virus attack, human error, accidental deletion, etc. File Recovery Mac – USB Digital Media software recovers your entire lost or deleted data from USB drive, mp3 players, portable gaming systems, flash memory devices and other USB mass storage devices. Mac Digital Camera Recovery tool retrieves lost pictures and videos saved in jpg, tif, gif, avi, jpeg, png, mpeg, riff, mov and other file formats. Easily recovers your entire deleted data from digital camera memory card. Mac Memory Card Recovery Software recovers deleted pictures, images, video clips, songs and other crucial data from SD Card, SDHC Card, CF card, MMC Card and other types of memory card storage device. Software is developed with deep disk scanning mechanism to search and recover missing or erased data from your mobile phones. Program recovers lost pictures, videos, audios, wallpapers and crucial data.